This 815-acre unit of the Lower Wisconsin State Riverway consists of upland hardwood forest, prairies and savanna. The Battle of Wisconsin Heights was fought on the northern edge of the property during the Black Hawk War of 1832. The property's partially restored oak savanna and trail through the battlefield are listed on the National Register of Historic Places. It's the only property of its kind in the Midwest. Indian Mounds on site date from about 800 AD. The adjoining units of the Lower Wisconsin State Riverway units run westward 92 miles to the Mississippi River. They offer numerous boat landings, free canoe camping, numerous State Natural Areas and more than 40,000 acres of public land open to multiple recreational opportunities. Signature bird species in this area include the Eastern Bluebird, Cooper's Hawk and and Willow Flycatcher, and rare species include the Red-headed Woodpecker, Yellow-billed Cuckoo and Western Kingbird. The Sauk Prairie State Recreation Area consists of a portion of the decommissioned Badger Army Ammunition Plant. 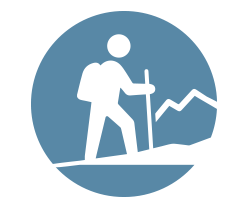 Visitors may hunt, trap, hike, bird watch, pick mushrooms and berries, study nature, take photographs and other traditional outdoor activities. You may also drive, bike or ride horses on the roads within the complex that are open. Roads are in variable condition; some have many ruts and potholes. The recreation area is open year-round from one hour before sunrise to one hour after sunset. Roads are not plowed during winter. Ferry Bluff and the adjacent Cactus Bluff tower more than 30 feet above the confluence of Honey Creek and the Wisconsin River. The standstone bluffs, capped with dolomite harbors undisturbed open cliff vegetation. From the intersection of Highways 60 and 12 west of Sauk City, go west on Highway 60 for 4.4 miles, then south on Ferry Bluff Road 1.1 miles to a parking area and canoe landing at the end of the road. A trail leads to the top of Cactus Bluff. 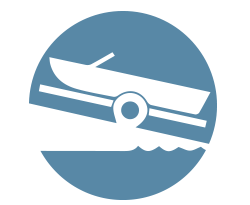 Legal access by land to the southern unit, known as Hugo's Bluff, is unresolved at this time and is accessible only watercraft until further notice. The entire northern unit, consisting of Ferry Bluff and Cactus Bluff, is closed from November 1 through April 1 to protect roosting bald eagles. The southern unit is open at all times. 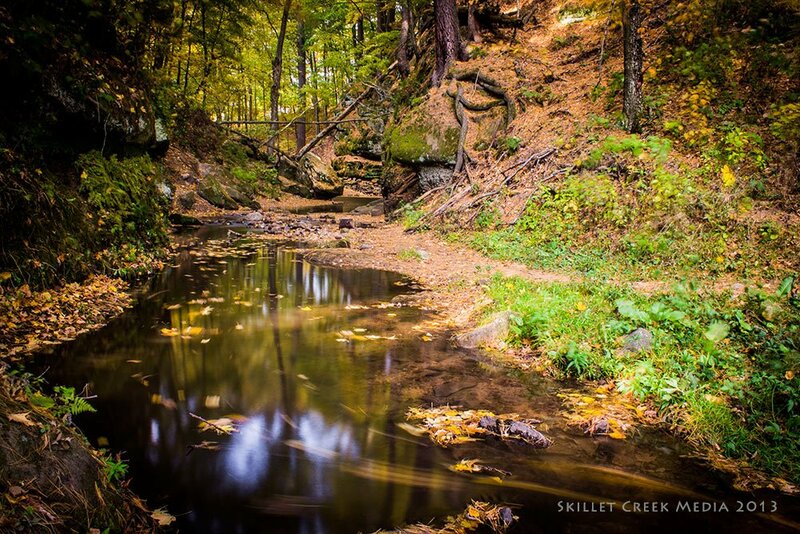 Parfrey's Glen, Wisconsin's first State Natural Area, is a spectacular gorge deeply incised into the sandstone conglomerate of the south flank of the Baraboo Hills. Parfrey's Glen is open daily 6:00 am - 8:00pm. Visitors must remain on the trail. Pets, food, and beverage are not allowed in the natural area. A State Park sticker is required and available at nearby Devil's Lake State Park. 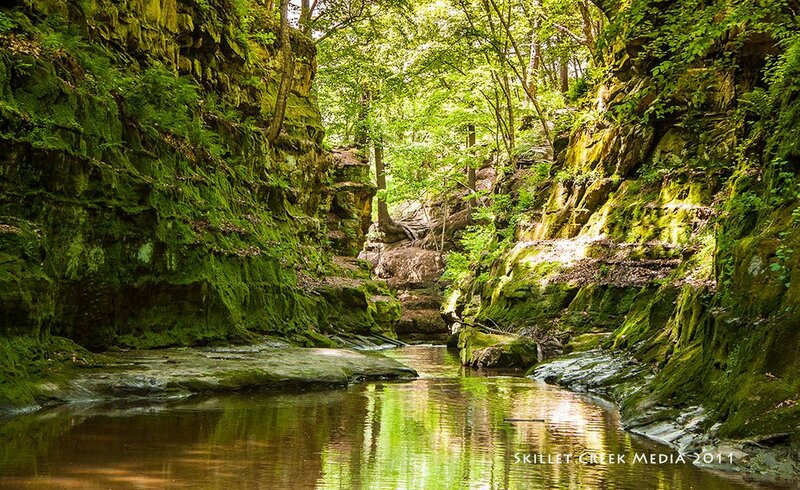 Baxter's Hollow features a scenic gorge cut through Baraboo quartzite by Otter Creek, a fast, clear, nearly undisturbed stream flowing over the large quartzite boulders. From the intersection of US Highway 12 and State Highway 78 in Sauk City, go west on Highway 12 for 7.6 miles, then west on County Highway C for 1.5 miles, then north on Stones Pocket Road for just over 2 miles to one of the parking areas along the road. Wisconsin’s most popular state park features amazing vistas from atop rugged, 500-foot quartzite bluffs overlooking a pristine 360-acre lake. 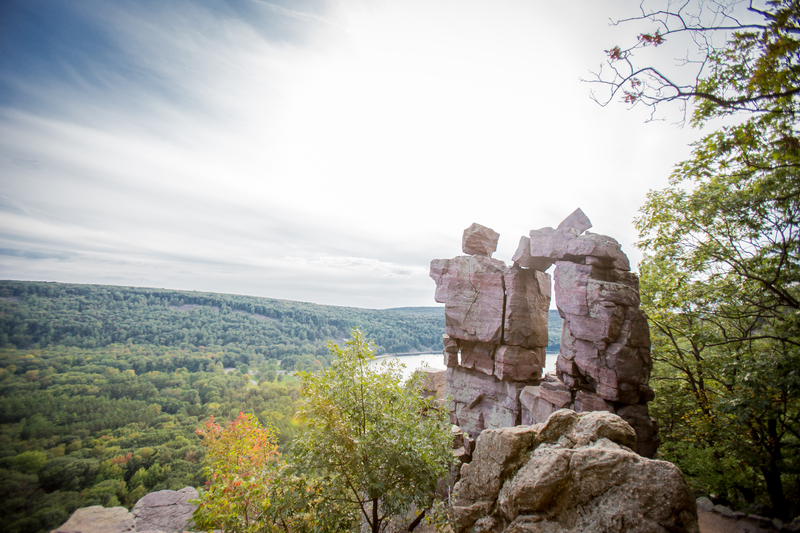 As you can imagine, Devil’s Lake State Park is a popular rock climbing & paddling destination! There are 2 large picnic areas along opposite shores of the lake, both with sandy swimming beaches and yes, there is even a pet friendly beach as well! The park has 3 large campgrounds & large group camp area. Devil’s Lake also encompasses a unique section of the Ice Age National Scenic Trail and offers over 29 miles of hiking, biking and ski trails surrounded many more miles of secluded Wisconsin back country. 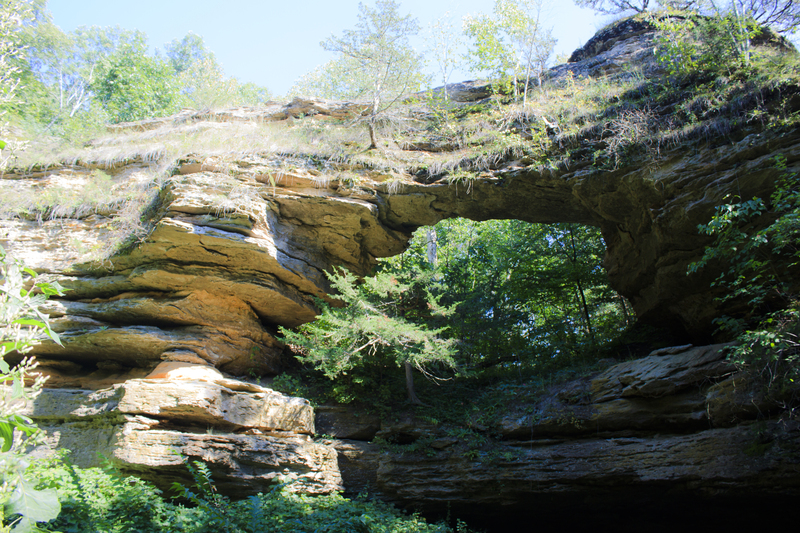 Natural Bridge and Rockshelter contains the largest natural bridge known in Wisconsin, created by wind erosion and weathering of the sandstone. The arch measures 25 feet in width and 15 feet in height on its inside dimensions. From Leland, go east on County C one mile to the park entrance. A hiking trail leads north from the parking area and loops through the site. The park is open 6:00am - 8:00pm. Pets, food, and beverage are not allowed in the natural area. A State Park sticker is required. Durward's Glen is located in the beautiful Baraboo Hills National Natural Landmark, 30 miles north of Madison near Devil's Lake State Park. The pristine 40-acre property offers scenic hiking trails, picturesque picnic areas, a pond, a rambling brook, and a white oak tree over 350 years old. The property has always possessed an inspiring spiritual character, which has attracted visitors from all over the world. 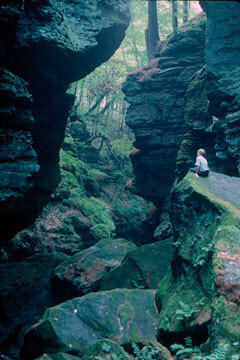 Durward's Glen is recognized as a place for reflection, peace, and inspiration. Grounds are open to the public daily from dawn until dusk. The dominant feature of Pewits Nest is a 30-40 foot deep gorge formed during the retreat of the last glacier. From the intersection of US Highway 12 and County W in southwest Baraboo, go west and south on W for 1.5 miles to a small parking area south of the road. Rising 200 feet above the surrounding landscape, Gibraltar Rock is a flat-topped butte, an outlier of the Magnesian escarpment. With a thin Platteville-Galena dolomite cap over St. Peter sandstone, the butte offers panoramic views of the Wisconsin River Valley and Lake Wisconsin. From Lodi, go north on State Highway 133 four miles, then west on County V one mile, then south on Gibraltar Rock Road 0.2 mile to a parking area and gated access lane. Walk south up the steep and winding lane 0.5 mile to the bluff top. Lower Narrows State Natural Area is a very scenic and unique geological feature of the Baraboo Range. From the intersection of Highway 33 and County T in Baraboo, go east on Highway 33 for 4 miles, then go west on Man Mound Road 0.1 mile to a pull-off east of the road (into the old quarry). 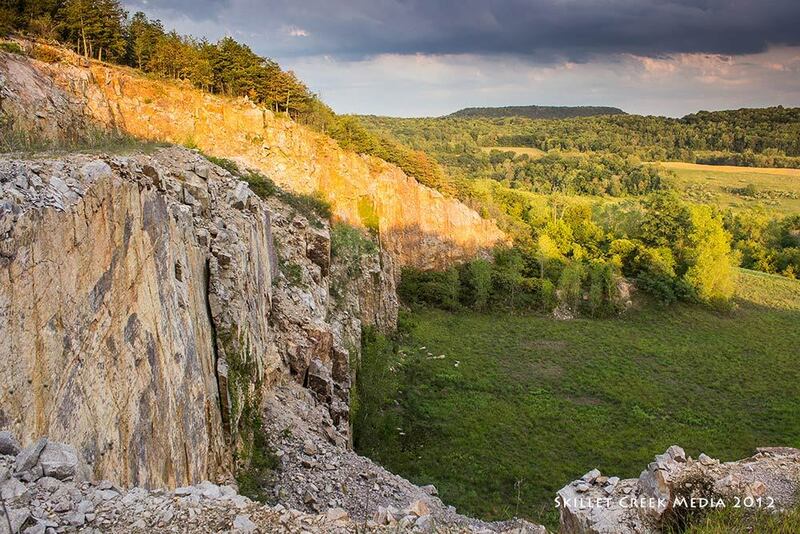 Pine Hollow features a narrow, heavily wooded stream gorge with sheer cliffs and rock outcroppings of sandstone and quartzite cut into the Baraboo Hills. From Leland, go east on County Highway C about 1.5 miles, then north on Orchard Road 1. miles, then east on a driveway at S7594 Orchard Road. Park in the lot at the end of the drive. To access the hollow, go to the northeast corner of the field abutting the lot and follow a faint trail that leads down the slope. The Lower Wisconsin State Riverway flows unimpeded 92.3 miles from below the dam at Prairie du Sac to its confluence with the Mississippi River near Prairie du Chien. It encompasses 40,000 acres of DNR land on both sides of the river. It was created in 1989 to protect and preserve the scenic beauty and natural character of the river valley. The Helena Unit centers on the Spring Green area. There are 285 bird and 45 mammal species found within the riverway. Signature species include the Bald Eagle, Osprey, Common Merganser and Common Goldeneye. Rare species include the Golden Eagle, Cerulean and Kentucky Warbler, and Yellow-breasted Chat. From Spring Green, travel south on Highway 23 or Highway 14 to access the Helena Unit. 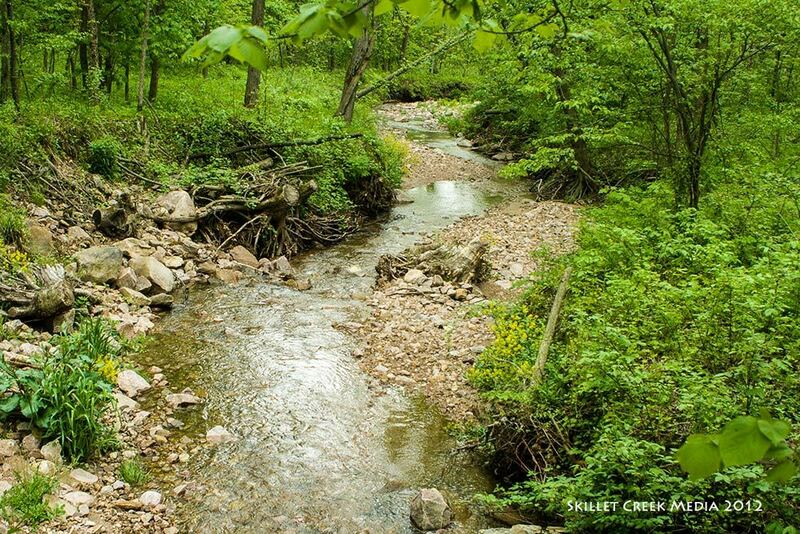 Honey Creek State Natural Area lies along a portion of Honey Creek, a Class II trout stream that flows to the Wisconsin River. The topography ranges from creek bottoms and boggy areas through steep slopes and rock escarpments to upland ridges. From the intersection of Highways 12 and PF, just west of Prairie du Sac, go west on County PF for 14.3 miles, then west on Lins Road for 0.5 mile to the site. Pan Hollow is a large, flat-bottomed quartzite gorge that supports a diversity of southern forest community types. 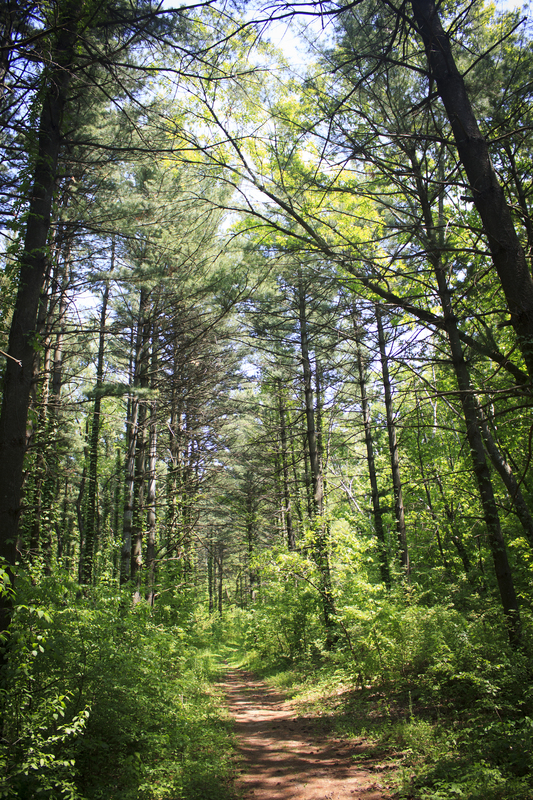 Being situated between the large forested blocks of Pine Hollow and Baxter's Hollow, it is an integral part of the larger Baraboo Hills complex. From the intersection of US Highway 12 and State Highway 78 in Sauk City, go west on Highway 12 for 7.6 miles, then west on County Highway C for 3.7 miles, then continue west on Freedom Road for 1.7 miles, then west on Hilltop Road for 0.3 mile. Park and walk north into the site. Snow Bottom State Natural Area features a diverse and spectacular landscape encompassing the most significant remaining pine relicts in Wisconsin, as well as many other important and uncommon native plant communities. From the intersection of State Highway 18 and County G west on Montfort, go north on Highway G for 4.6 miles, then east on Bowers Road for 1.6 miles to a small parking area just west of the Blue River. Walk north into the site. 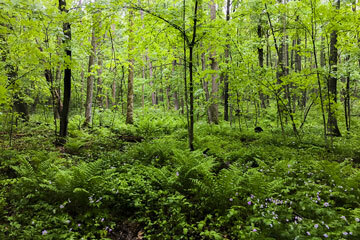 McGilvra Woods is one of the richest southern mesic forests in southwestern Wisconsin and noted for its display of spring wildflowers. From the intersection of Highways 12 and 136 in West Baraboo, go south on 12 for one mile, then west on County Highway W 3.25 miles, then north on Farview Road and park on the road. Walk east into the site. 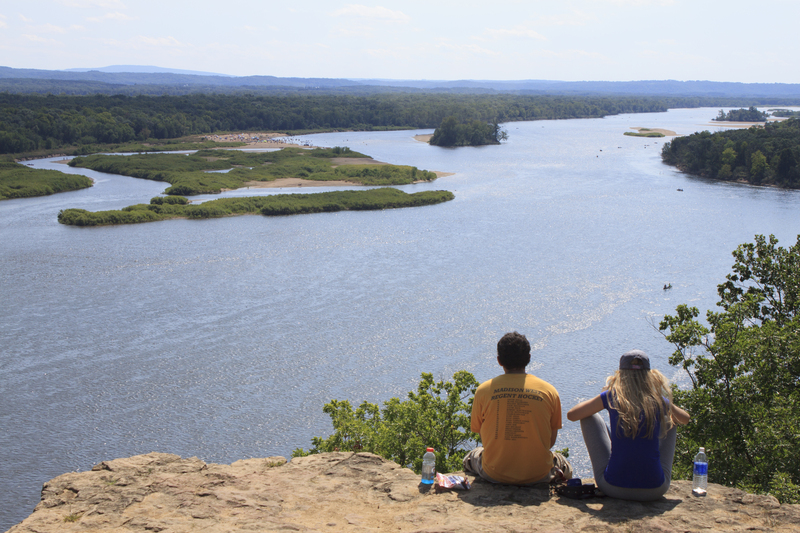 The Ferry Bluff Eagle Council maintains this overlook, with a great view to Eagle Island. The overlook is located across from the Cenex gas station in Prairie du Sac. 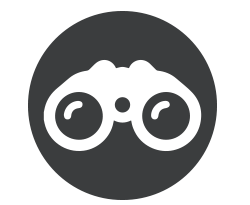 You can get out of your car and use the spotting scopes to see eagles perched on Eagle Island or soaring overhead. There is an information kiosk with more on local eagles. The VFW Park is located at 700 VFW Drive in Prairie du Sac, north on Water Street past the Highway 60 bridge. A small sign marks the turn to the park. Eagles may be seen loafing across the river in the tall cottonwoods, flying, or fishing. 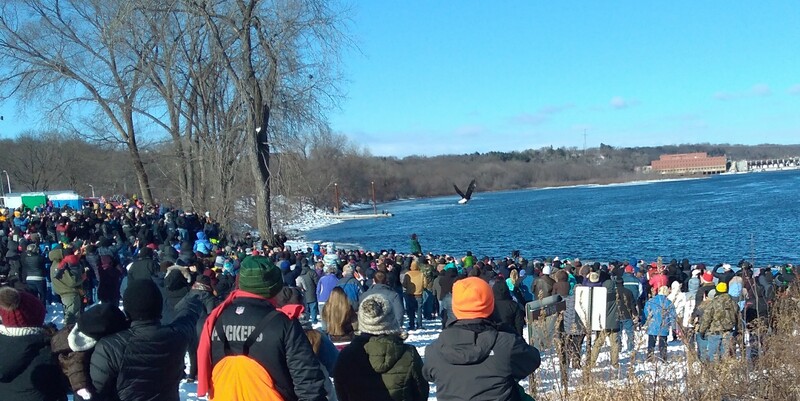 The Prairie du Sac Dam is a great place for eagle watching in the winter. To find the dam, head north on Water Street/Highway 78 north of Prairie du Sac about one mile, and turn right on Dam Heights Road. Follow signs to the dam. To respect the eagles, please stay in your car at this location. 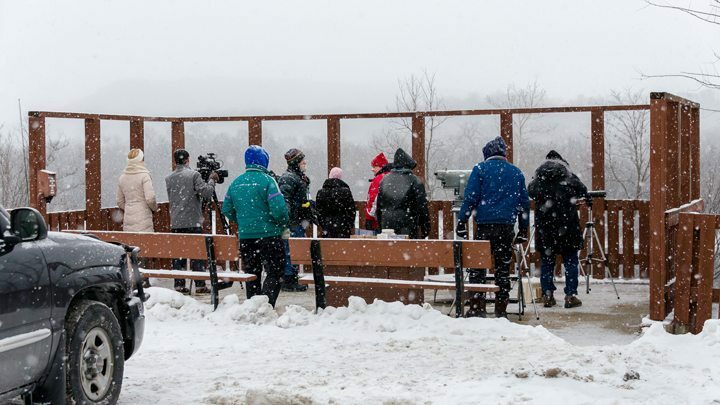 The Old Railroad Bridge is a unique place for bald eagle watching in the winter, and bird watching throughout the year. In Sauk City, follow Water Street south. Go past the stop lights in Sauk City for several blocks. There is a pull off for parking. To respect the eagles, please stay in your car at this location. 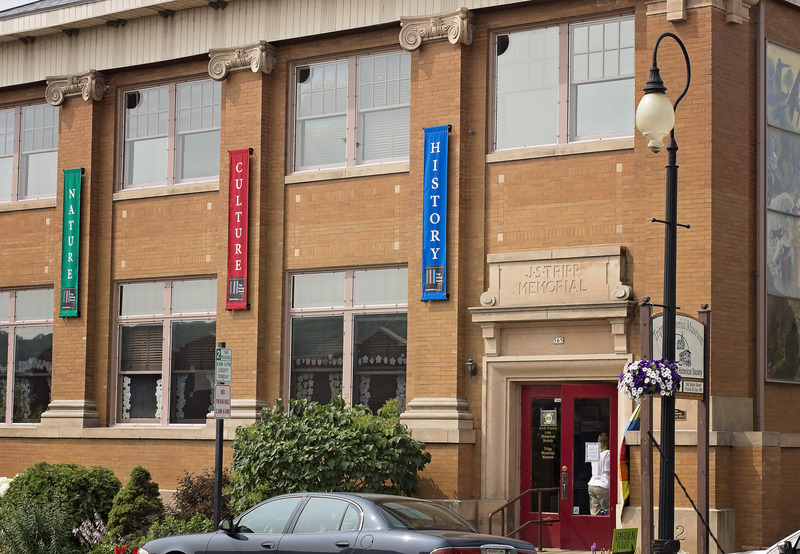 The Tripp Memorial Museum is home to the Sauk Prairie Area Historical Society and contains a substantial archive of photographs, historical information, rotating exhibits, and one of the state's largest collections of mounted birds. The museum is open year-round, Monday through Thursday by chance or appointment, and Friday and Saturday, 9:00am - 1:00pm. The boat launch includes a ramp into Lake Wisconsin. There are two launch lanes with a paved launch surface. The launch depth is deeper than 3 feet. There is a boating dock present. 11-15 vehicle stalls are available. There is a bait shop, pier docking, and marine fuel located nearby. The boat launch includes a ramp into the Wisconsin River in Prairie du Sac. There are 2 launch lanes with a paved launch surface. The launch depth is less than 3 feet. There are more than 25 vehicle stalls available. The access is part of a large village park. The boat launch includes a ramp into the Wisconsin River in Sauk City. Blackhawk River Runs, in Mazomanie, WI, is the lower Wisconsin River’s family owned and operated canoe rental company and sandbar camping experience. 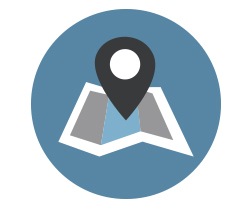 We are centrally located between Mazomanie and Sauk City. For canoeing, kayaking, sandbar camping and more, give us a call! 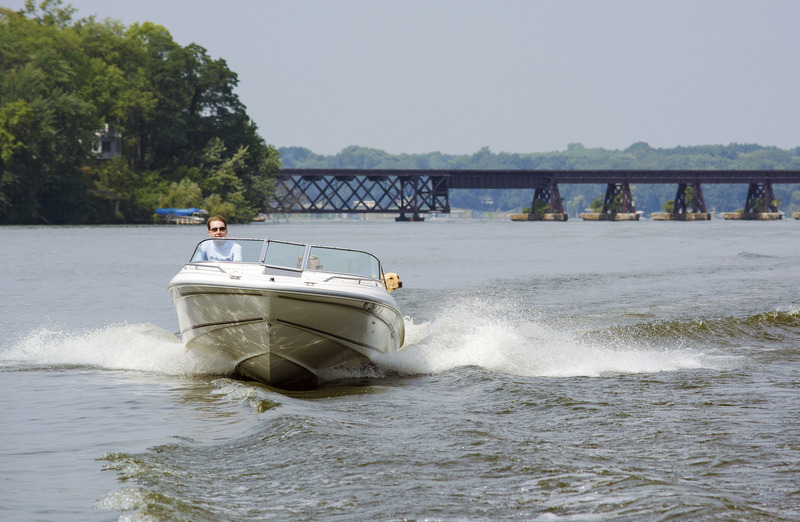 We’re the best-kept secret on the Lower Wisconsin River since 1970! The boat launch includes a ramp into Lake Wisconsin. There are two launch lanes with a paved launch surface. The launch depth is unknown. There are more than 25 vehicle stalls available. The boat landing includes carry-in to the Wisconsin River in Prairie du Sac. There is one launch lane with an unimproved launch service. The launch depth is unknown. There is no boarding dock present. There are 1-5 vehicle stalls available. The boat landing includes carry-in to the Wisconsin River in the town of Spring Green. The launch surface is unimproved with a launch depth of less than 3 feet. Sand canoe launch only, not suitable for larger boats. 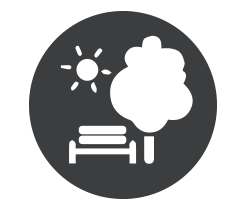 Please note that all park shelters must be reserved through the Villages. Fantastical machines from salvaged factory parts created by self-taught artist Dr. Evermore. Dozens of mechanical creatures, ranging from waist-high to 20-ft tall, flock in clearings. Disintegration chambers, spaceship gun turrets, and huge contraptions suggest pre-historic or space-age insects. The sculpture garden is available for public viewing, but be sure to call prior to heading out. 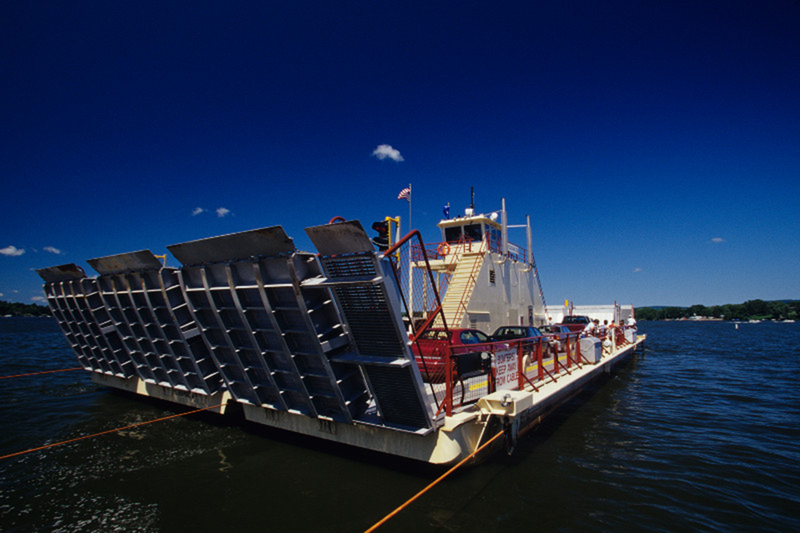 Wisconsin's only free ferry, the Merrimac Ferry offers free car ferry service across the beautiful Wisconsin River on Highway 113 just south of Merrimac. The total trip time is about 7 minutes; the wait time may be a little longer. The ferry carries up to 15 cars. Trailers, motorcycles, bicycles, and hikers are welcome. No semis. The ferry operates seasonally from ice-out to ice-in (about the end of March to the end of November), 24-hours a day. 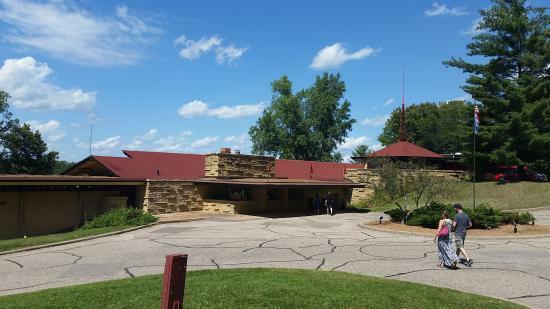 Taliesin Preservation, Inc. was created to preserve the buildings, artifacts, landscape, and legacy of Frank Lloyd Wright in Wisconsin. America's premier architect and Wisconsin's native son considered Spring Green his home, and he built and created an environment both beautiful and inspirational. The regular tour season run from May 1 through October 31 and includes five types of tours. Because the Taliesin Estate is privately owned, it is accessible only on a guided tour. Many of the tours sell out in advance. To make a reservation call 877-588-7900. This 9,000 acre lake located near Merrimac and Lodi has public boat access on the east shore off of County Road V. Fishermen will find walleye, northern pike, Muskie and bluegill. Crappie, largemouth bass and smallmouth bass have also been caught. Lake Wisconsin is part of the Wisconsin River system, reaches a maximum depth of 40 ft, and offers 57 miles of shoreline. 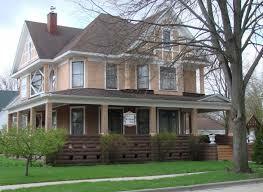 Take a self-guided tour of Historic Sauk City, the first incorporated village in Wisconsin. Visit the website above (under Contact information) to print out the Guide, or visit the Sauk Prairie Riverway Welcome Center for a printed copy. You can also take a self-guided tour for free on your iPhone or iPad. Click the QR Code to the right. Open the app and sign up for an ARIS account. Once in ARIS, search for the game "Sauk City Tour". Select and play. The tour normally starts at the Sauk City Historic Park, but can be started anywhere on the route. Sorry, not yet available on Android or Blackberry. Located in Lodi, his 500 acre lake has public access on the northwest shore, off of Highway 60. The lake specializes in bluegill, crappie and largemouth bass, with a maximum depth of 12 ft.
From the Empire Prairie to the Mighty Mississippi, Wisconsin's 100-mile Scenic Byway 60 follows the graceful curves of the Lower Wisconsin River. The golden bluffs crop out of emerald hills and valleys that roll into rushing streams to the lively river. These waters beckon fishers, canoeists, kayakers, and boaters. Here birdwatchers and botanists can go bananas while, chances are, an eagle is watching them. Each of the villages and town along the Scenic 60 Byway has its own enticing history and contemporary flavor. They offer a rich range of camping, lodging, dining, outdoor and indoor recreation, archeological pursuits, and other learning options. So take a ride down this Scenic Route and experience the fun that the Lower Wisconsin Riverway has to offer! Witwen Park is an old church meeting grounds with white wooden buildings in a quiet setting next to Honey Creek. Witwen Park & Campground hosts a Summer Concert Series each year. There, on soft summer nights, surrounded by neighbors and friends, listening to great music, a person feels about as close to perfection as he or she is likely to get in this life. The Aldo Leopold Center was the first building ever awarded carbon-neutral status by the U.S. Green Building Council's LEED Certification program. Take a guided or self-guided tour to learn more about green technology and design or join us for a hands-on workshop or conference. Tour guides and interpretive materials illuminate Aldo Leopold's life and legacy, linking his land ethic to the 21st century at both the Aldo Leopold Center and the adjoining shack and farm, a National Historic Landmark. Open May through October, Monday - Saturday, 9:00am - 5:00pm. Open November through April by appointment.